Adult stem cell grafts in spinal cord injuries and how the procedure leads to increased mobility and quality of life for patients. 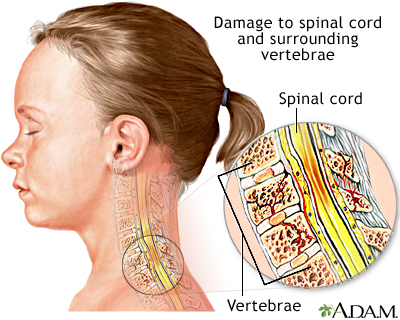 A severe spinal cord injury often causes loss of feeling and paralysis, the loss of movement and voluntary control over the muscles in the body. Spinal cord damage also causes loss of reflex function below the point of injury interrupting bodily functions such as breathing, bowel control, and bladder control. In the event of a spinal injury prompt medical attention can help to minimize further spinal cord damage.